One thing not talked about much in the LGBT community is domestic violence. Many times it goes unheard of due to the fact that victims are feel shame, embarrassment, etc. It definitely needs to be talked about more that’s for sure as you will read from this story in Miami about a man who just couldn’t let go of his Ex. Tragic!!!! 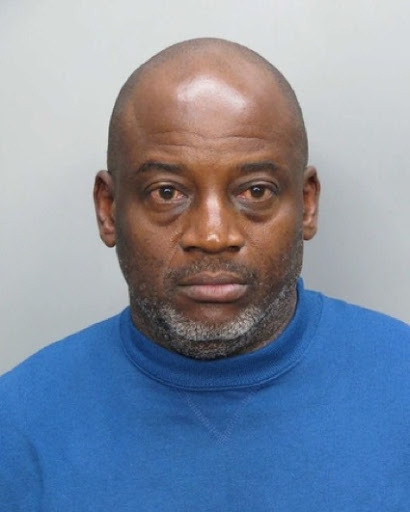 North Miami former teacher, Gregory Higgs (pictured above) is charged with first-degree murder in the stabbing death of his ex-boyfriend, high school teacher Charles Brown. Higgs, 53, was in a seven-year relationship with Brown, 54, before Brown broke it off for unknown reasons earlier this year. After the breakup, Higgs had resorted to sending Brown’s family nasty emails demanding answers over the breakup. He even sent threatening emails to Brown’s work and letters to the Miami-Dade County School Board. In the afternoon on December 3rd, neighbors witnessed a later-identified Higgs waiting in Brown’s apartment hallway and called the police. Neighbors again called the police when they witnessed Higgs stabbing Brown to death. Neighbors even attempted to stop Higgs, to no avail. Higgs fled on foot but didn’t get far as neighbors tracked him as he ran through the apartment building and notified police. You can view the video here!